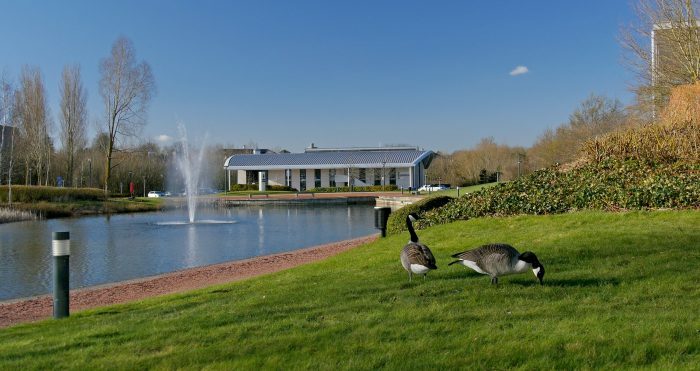 Designed as the focal point of the Park, this contemporary and spacious design includes a 14 metre sculpture suspended from the ceiling and seamless views across the wildlife corridor and lake. On the ground floor you will find the popular Sadler Brasserie with alfresco dining, and also the Sadler Bar where we host quiz nights and sports viewing. Also there is the newly opened The Sadler Deli, a place to go for fresh food daily. Hot and cold drinks are available: Grumpy Mule freshly brewed coffee, teas, hot chocolate, plus lots of fresh juices, smoothies and protein shakes. And there is plenty of food choice from some scrumptious deli foods such as Italian toasted sandwiches, handmade baguettes and subs, to baked potatoes, homemade soup and salads. 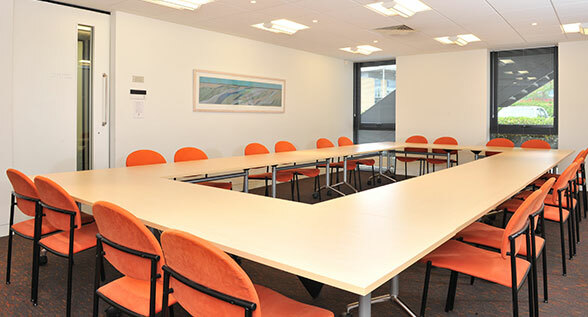 You will also find our meeting rooms for hire, and upstairs there are office suites. The Sadler Building also caters for many formal dinners, weddings, and celebratory events. 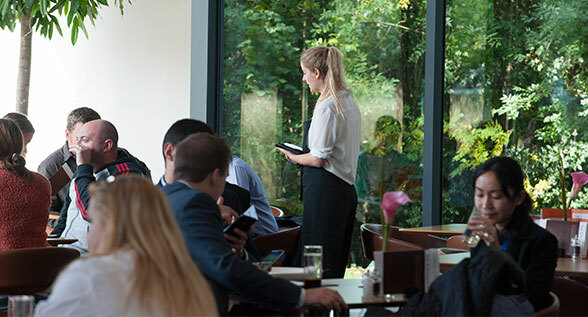 From here, you can view the weekly Sadler Brasserie menus, and request a meeting room. Your guests and you can be assured of a warm welcome at the Sadler Brasserie, offering a superb bistro menu which changes weekly, and has everything and more on offer. From rump steak to cod fillet, to pesto spaghetti to omelettes, sandwiches and jacket potatoes. And not forgetting the delicious puddings such as chocolate and mascarpone cheesecake and lemon posset. Book your table to ensure your seat please call (01865) 781 305 or email SadlerCatering@oxfordsp.com. Download the latest Meeting room and conference hire price list.